Halloween brings out both greed and creativity. Greed for the candy. Creativity for those who aren’t satisfied with standard store bought costumes. And then some don’t stop with costumes for themselves, but decorate their pets as well. In general, for animals one would expect Halloween to be terrifying. We humans know that usually it’s meant to be fun. But what is an animal to make of that weird get up you are in? Or all the crazy strangers moving up and down the neighborhoods? There are few creatures more unlikely than a horse in costume. Most of the horses I’ve known freak out at a wind blowing a leaf at them. I knew one that had a panic attack when a hat was moved near him. I never did figure out what caused it. Was he attacked by an evil hat as a foal? Where a costume? The thought probably would’ve made him faint. But in spite of this, one does hear of costume classes. And they don’t limit themselves to native cultural costumes. Forget mere indian ponies or war horses, though they are impressive enough. Some people go even further and amazingly, their horses go along with it. I found this video on youtube of some truly impressive horses: check out their human’s creativity and the horses courage at putting up with wearing this oddity. May everyone have a safe Halloween: watch out for things that spook your horses or food that is less than ‘horse compatible’. Look too for the ‘Trick’ end of the ‘Trick and Treat’. Tricks involving horses can turn dangerous. Art History and Appreciation is boring….or is it? Is it really that dull? When going to art school or taking classes I note they give a lot of attention to the old masters. Art history and it’s appreciation is often a requirement. This is understandable, for knowing where we come from is important. But how many of us truly have started art because of them? In my case, inspiration came from elsewhere and only later did it lead me to an appreciation of it’s history. My love of horses came from books I read and movies I saw. This means that illustrators, writers and movie makers had an impact long before I realized they were artists in their own right. A peacefully grazing horse or one napping in it’s stall is lovely. But the ones rearing, galloping, leaping and playing are the ones that seem the most alive. To me, they are art in motion in and of themselves. Some films like The Black Stallion revealed this in full glory. As a fan of science fiction I only gradually realized that my beloved Star Wars had to start in an art studio. Without Ralph McQuarrie’s designs, it may never have come to pass. Artists painted backgrounds, built models and invented an entire industry for special effects. Some of these same artists went on to create Photoshop and the modern software that now creates art in 3D. And where would it be without the awesome movie poster art of Drew Struzan? Video games are created, in part by artists and I am highly and personally aware they are on target in their ideas about education and games. I recall flunking lessons in how to read music in grade school. Yet I started to get the hang of it playing a video game version of Indiana Jones and the Last Crusade. I never did finish the game, but I did learn to read music enough to play the right tune on the skulls! Amazing what a difference the approach makes. I couldn’t learn for the grade, I doubt if you offered me money I could get it. Somehow getting Indy through to that tomb helped me learn it! Art History meets them all and becomes more appealing. Finally, full circle I’ve come to notice art history, not just through art classes but through TV and the movies. A few odd artists are more intriguing when encountered by a very young Indiana Jones. An episode where Doctor Who meets Van Gogh suddenly makes the man come alive in a way the old school story of ‘he’s the guy that cut off his ear’ never did. 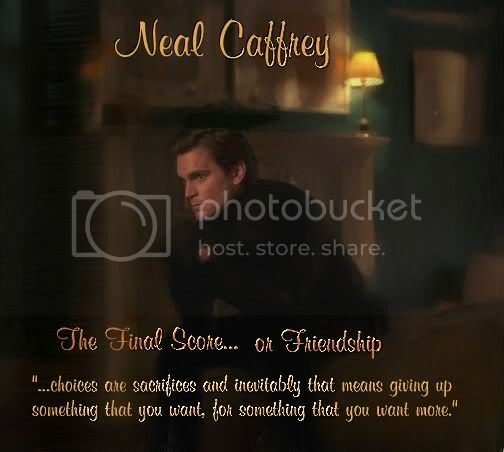 Then there is my favorite show White Collar. Take and FBI agent and his ‘former’ art forger criminal consultant, set them loose in New York solving art heists and the like and the whole world of art history and museums has an all new appeal. Their accuracy is questionable: this is fiction after all. Sometimes they use real artists, sometimes they invent them. But the real point is not whether it’s true. It’s the fact that they got my attention and aroused my interest in the first place. Tapping into what’s already there. Is it just me changing? I don’t really think so. I think it’s always been true, that if you plug the subject to be learned into what a person is already interested in, it engages in a way that would otherwise be dry and boring. As my growing curiosity about art history leads me around the web I’ve definitely noticed who seems to be tapping in and who doesn’t and how. Some art galleries have gone highly interactive. A look at the Google Art Project. It can take you to museums around the world many of us will never have a chance to set foot in. Some have podcasts or videos online. Some have interactive games or tools to study certain artworks or artists. Others still have the most boring, bland websites with tiny print and navigation that certainly doesn’t take account for people who might have trouble seeing it. They may be easier on an older computer in general, but they are definitely a turn off in comparison. The odd thing is the great stuff is usually for kids. Why is it the world thinks adults want a ‘dull’ approach? Why can’t it be fun no matter what your age? So now I’m gradually coming to know who of the old masters I like and why, what mediums I’d like to try even if I have to imitate them on the computer. I love drawing and am willing to try drawing nearly anything. But I could do horses with my eyes closed and in my sleep. As for my writing, well, it’s no surprise I’ve written Star Wars and White Collar fanfics and I love their websites. I’ve written other science fiction but I’ve yet to try and publish it. Warning: Creative License may bend the facts. And then there is that little catch to all this. If you are going to tap into these interests – learning through pop culture can’t end there. Don’t assume pop culture did it’s homework. Pocohantas and Mulan are wonderful female heroes. But Disney’s version isn’t exactly full of truth. The movies, games, TV and historical fiction are a springboard to look deeper. These aren’t flat words on a page or a cardboard picture painted by some guy way back when. They were real people and events with lives and loves, fears, mental illness and physical and economic challenges. That’s the part that’s inspiring. How many of them would imagine our world today? How many would dare dream it’s technology? Would they dare even imagine the prices their work would sell for or the things we would say? Would they be amazed at how much we know or fall over laughing at how far from the truth we had come? Here are a sites for some of mine that include games, episodes, forums and all sorts of interactivity. Learning is part desire and part sheer stubborn determination. If you love something you want to learn it. Even if you don’t, the idea of being conquered may not be acceptable. Learning WordPress, for instance, is my refusal to be beaten by a piece of software. But I hope you’ll forgive any odd places a Permalink sends you, for they are not cooperating. They are determined to have the blog itself as the main site page and everything is therefore out of whack. I know it is one tiny bit of code in many pages that is probably the cause. Finding it is the issue. I have purchased a book on wordpress and am doing my best to figure out how to correct these things, as well as back it up, without causing anything to blow up, vanish or otherwise scramble my site. Love on the other hand, is what made me learn to draw. What it was about horses that called me, I don’t know. Sometime when I was little I got bit by ‘the horse bug’. It’s incurable, although it may lie dormant for several years if significant others, children, school and job are loud enough to override it. But it never goes away completely. The drawing part started with a book, called Pounding Hooves. The girl who (as usual) pines for a horse makes money by drawing. Suddenly, I wanted to do that too. I started with tracing horses off of book covers. I found one book with a picture that included parts of the horse. Now I could trace that, label it. Then I could label all the others. Then I tried to draw without tracing and if I had all the parts labeled, I was doing something right. If not, I tried again. Have you ever wanted to learn to draw more than stick figures? Here is a secret that many people forget, or lose, in this pessimistic age. ANYONE CAN DRAW. Remember when you were a kid and doodled and colored without shame? Well, the truth is we all start with ‘stick’ figures and odd shaped people. Then, as we grow older, we realize our ‘art’ doesn’t come anywhere close to reality. Then comes the disillusionment. Those of us who are good at art aren’t just talented. That’s only part of it. Some take three times as long to learn as others. Some are better then others. But I do think everyone can go beyond stick figures. But they won’t, for the same reason I’ll never be an accountant. I don’t love numbers and don’t want to put in the time to improving my math to that level. There are only so many hours of the day, and someone invented the calculator. It takes PRACTICE, many hours of it, to get good at everything. I’m still learning. I still practice portraits (my favorite movie and TV characters are my chosen ‘experimentees’) and I need reference pictures for many things, like dogs. That’s just the drawing part. Then there are all the different mediums like painting, pastels, digital and more. Do what you LOVE. Want to draw people? Do fan art for your favorite movie, tv show or book. You can even try your family. Dogs? Go for it. Look out for media extras. If you love movies, you may have noticed the trend in DVD extras. Often the storyboards, making of information and interviews with creators can be inspiring. This goes for ‘Art of’ books too such as Lord of the Rings, Star Wars or Narnia. Spirit has an excellent tutorial on drawing horses. Their is a great section in the Star Wars prequels on the art section as well. Look for free sources like videos, tutorials and photos to work from. Watch out for the copyright snare when drawing from other people’s pictures. As long as you are practicing, you are fine. That is free and fair use. Draw from the photo, trace, that’s how I did it. But remember: if you sell, that’s a copyright violation. Wait until you don’t need that source for anything but a casual reminder as to the shape of a particular dog breed’s ears or something. You need to be able to call the work your own to sell it legally. Mind you, you don’t need to be good at everything. I could do horses asleep with my off hand. Anything else takes more work. Any paper will do for practice except cheap newsprint or some of the kids drawing paper. You want something you can erase easily without a big mess or ripping to practice on. You can invest in good paper whenever you feel you are ready. Any decent pencil, but you can get a range between 8H, HB (the usual) to 8B which is lightest to darkest. You want light for when you plan to erase a lot. A good eraser: plastic erasers are great, rubber is crumbly, but generally, just get a good chunk. You’ll find an eraser at the end of the pencil wears out pretty quick! Drawing on the computer: If you have a decent drawing program and are really good with a mouse, why not? Their are two kinds of programs for it: vector and raster. Raster programs look more pixelated when resized, but they tend to feel more natural, more similar to using regular art tools. Vector is more ‘computerish’ and resizes easily. You can buy or even find free programs for both. You can also find tablets to draw on (not the newer ipad type stuff) that come with a pen and plug in a computer’s usb port to allow even more natural action. Finally: Draw what you love, be stubborn and when you look at a pile of rejected drawings remember: that’s how we ALL started. The next stage of my Horse Web and Graphic Design site. So I’m finally at the validation stage of building my site. Universe and Zazzle. If I want my royalties I must use them. same validator and the same css stylesheet! At long last I joined a horse community called Barnmice. Looking forward to reconnecting with the horse community. So this just leaves what to do about the original Starhorsepax . instead of just spending it. Horses and art are good for the soul. Hopefully I can translate that into earning money too. My new and improved Clydesdale, with the cool brush effects added. A case in point: I’ve wrestled for hours with Inkscape gradients trying for a fuzzy teddy bear. This was after a critique on Deviant Art. I may post it as a tutorial or a sort of how to (and how to NOT) do it. And I have that nice Adobe Illustrator waiting for me to use. But how could I ignore the challenge of the not at all intuitive freebie Inkscape? This blog is all new, the website is too. So please be patient with it. The shop navigation isn’t up yet and I haven’t filled in the prices or finished the contact page. Friendly suggestions for improvement are welcome, just keep in mind I’m not claiming to be finished. But if you are looking for a web designer and or graphic artist I’m here and ready even if the site isn’t complete. My specialty is horses and other animals. 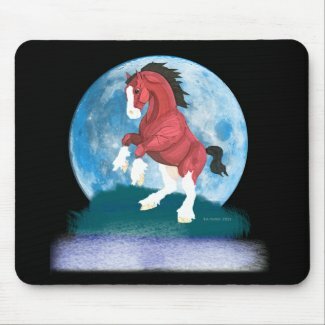 In addition to here you’ll find me on Zazzle, Cafepress, Greeting Card Universe and I’ve just joined Deviant Art.